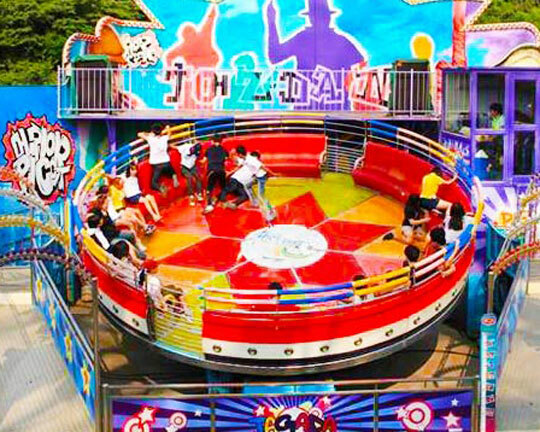 The tagada rides, one of the most popular amusement fairground ride and the fashion amusement ride equipment, are also called Disco Tagada or Disco Turntable and it belongs to a kind of thrill rides. 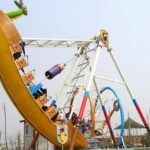 Beston Amusement Equipment provides various types of quality Disco tagada ride for sale with reasonable prices to the many large amusement parks around the world, including mini tagada ride for sale, which is well-known by customers. 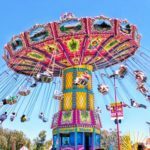 Mostly, riders on the Tagada fairground rides are teenagers and adults and they love to relax themselves to enjoy the dico appeal on the tagada rides. 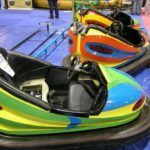 Best selling tagada rides around the world are in Beston amusement equipment. 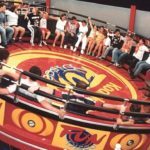 As for the Disco tagada funfair ride, it is mainly composed of the round bowl, the platform and the fence to protect riders from hurting themselves. 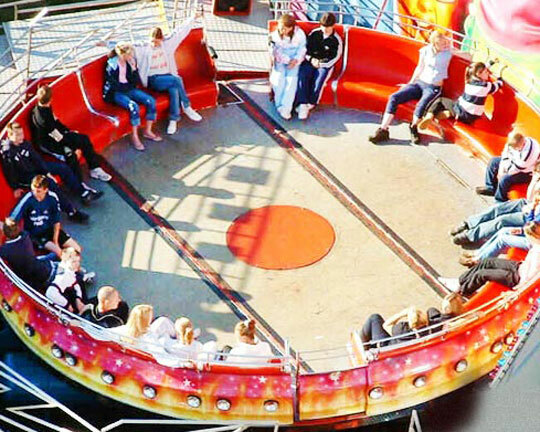 Tagada ride Riders sit in a round bowl with no seatbelts or restraints. There are bars behind the riders which they can hold on to. As the Disco Turntable ride starts to spin, the music starts playing and hydraulic arms simultaneously bounce the riders up and down. The tagada rides usually are operated by a human operator, which will synchronize the bounces with the music beat. Sometimes, if the tagada rides for sale are too strong, most operators give time for riders to get to their seats again before making the ride bounce. Beston Disco Tagada ride goes up and down suddenly in operation, which just as if the ocean rises up and down, fast and slow. 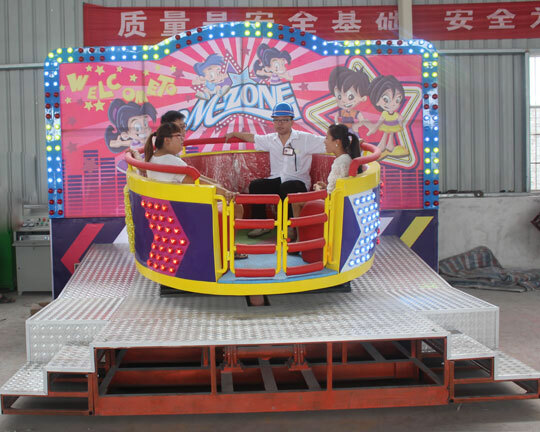 At the same time, with the strong shock of disco music beats, riders of tagada rides for sale from Beston amusement equipment will feel they are just like a dancing note, which they can not experience from other amusement equipment. Therefore, Beston tagada rides with high quality can introduce many visitors for your amusement parks. Please feel free to contact us for more information whenever you are purchasing the tagada ride for sale. 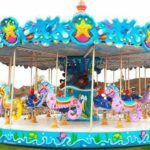 You can not only buy the standard tagada amusement ride, but also customize the tagada rides according to you requirements. 1. 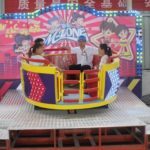 The tagada fairground rides are manufactured with high quality fiberglass reinforced plastic, which ensures the longer service life. 2. Beston funfair tagada rides are equipped with LED lights, beautiful music, colorful and un-fading painting, etc.. It is much gorgeous and attractive combined with intense vibration! 3. Beston tagada rides bring the thrilling experience to riders that they will never forget. 4. Beston manufactured with the tagada rides with many years experience and can guarantee all riders’ safety.